Feeling overwhelmed? Let me help. 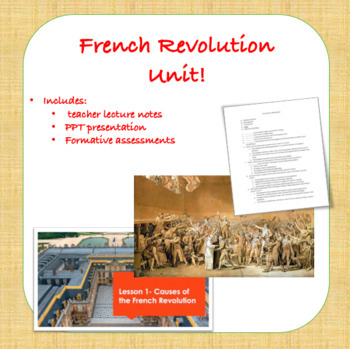 Included in this bundle is everything you need to teach the French Revolution. 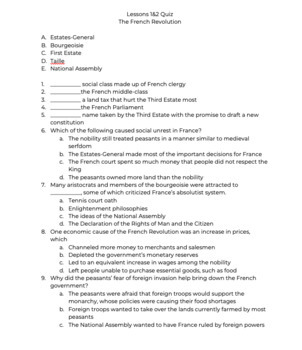 Included are teacher notes, a PPT presentation, and quizzes and a test. 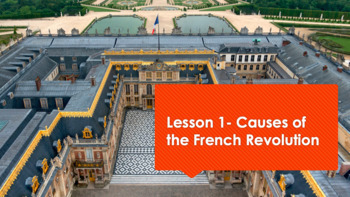 Teach with ease! If you like follow my store for more unit plans. Thanks for shopping!